I know that it is supposed to be spring, but in our neighbourhood, there are still small piles of snow competing with tiny snowdrops popping their pretty heads up in the lawn. We experienced a very long winter which seemed like it would never end. 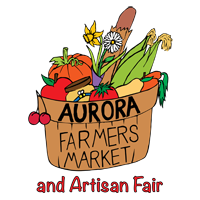 However, the forecast for this week is for lovely, warm spring weather, just in time to welcome the Aurora Farmers’ Market and Artisan Fair back for its outdoor season on Saturday, May 5th. This year, you will find us in Town Park, except for six farmers whose trucks are too heavy to go into the Park. This reconfiguration is in response to those of you who found that our previous lineup of vendors from Mosley to Metcalfe was difficult to navigate, especially with cars exiting the condo building. The road closure will still be in effect, but only as far south as the fire hydrant on Wells Street. There will be volunteers to help direct you to where individual vendors are located, along with a copy of the layout posted at Jan’s Country Pantry just inside the Park. Our new Market Manager, Carmela Bourassa, will also be available to help guide you to your favourite vendors. While we are still receiving applications for this season, here is a list of the vendors you will find at the Market. Please keep in mind that this list is still incomplete as some people may drop out due to unforeseen circumstances while others may still join us. This year the farmers will include 19th Avenue Farm now known as Farm2Home;CoopersCSA Farm; Howards Farm; Pioneer Brand Honey; Simpson Family Farm; Summerside Farm; Willowtree Farm; Oakridges Finest; Pillitteri Estates Winery; and new farms: Providence Hill Farm; The Little Farm That Could; and Heritage Estate Winery and Cidery. The food vendors will include Catering by Gabriel; Catharina’s Kitchen; Jan’s Country Pantry; Cosmo’s Smoked Meats Ltd.; Sasha’s Sweets; Sarah Joy Sweets; La Brehandaise Catering; Maia”s World of Flavour; and two new vendors: Café Louise Bakehouse (a bakery) and Crown and Anchor Food with smoked brisket and wings. The Bear’s Den; Katie Argyle: and new: Tamara’s Treasured Shop; Great Turnings; and TT’s Essentials. Among the Community booths coming and going throughout the summer will be: The Aurora Public Library; The Aurora Cultural Centre; The Town of Aurora; The Aurora Historical Society; the Aurora Garden Club; Soroptimist International of York Region, and, later in the season, Amnesty International. As most of you know, the Armoury has been leased to Niagara College for the next five years for their Canadian Food and Wine Institute. The Armoury must be renovated before they can move in so the courses won’t be offered until that is completed. The Farmers’ Market is very excited to have formed a partnership with the College which will have them be a presence at the Market to talk to Aurorans about their programmes. Also, they will be providing us with a chef who will prepare delicious food for sampling from ingredients sourced at the Market. They will focus on easy, family friendly dishes and will include the recipe. The launch will depend on the availability of a chef since the Institute won’t be up and running for a while. Also new and exciting this year is the invitation from the Town to the Farmers’ Market to do a pop-up Market at each Wednesday night Concert in the Park during July and August. This promises to be a great season with our move into the Park and other new features, so please join us on opening day on Saturday, May 5th, from 8am until 1pm.